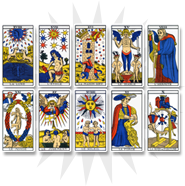 The three of hearts is the second weakest card, and represents a form of evolution and improvement. On the emotional level, the three of hearts pacifies a conflict. It is the first step towards finding inner peace and realizing a project, as well as welcoming the positive consequences of a decision taken a little time ago. 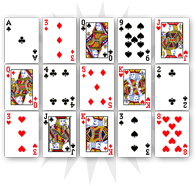 The three of hearts is very specific as it is not limited to romantic questions. It allows the interpretation of the individual’s personal satisfaction and inner harmony. You recently have started new projects and you encounter some problems. You probably ask yourself if you chose the right path to resolve certain situations, and the three of hearts indicates the upcoming success of your projects. You can be optimistic: the three of hearts evokes great personal satisfactions brought by the achievement of your projects, even the most unrealizable. Be creative: you could surprise yourself in the near future. One of your relatives has been working for some time on a difficult project. 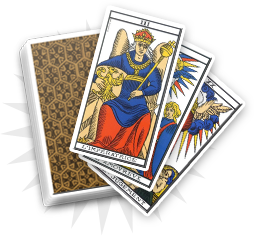 The three of hearts shows that you are important in the realization of this project: you have to guide your friend or family member in order for him/her to succeed; do not hesitate to give him/her some advice. 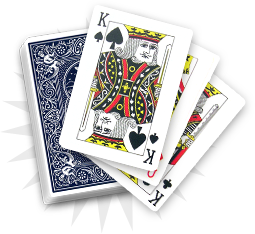 Should it be a romantic or a professional project, the three of hearts indicates the importance of feelings. Your relative will have to believe in his/her success to fully appreciate the positive consequences behind his/her ambitions.